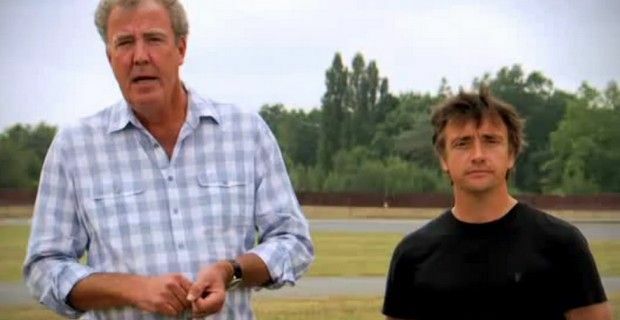 It was supposed to be ‘The Perfect Road Trip’ - the name of Top Gear's Christmas DVD - instead for iconic presenters Jeremy Clarkson and Richard Hammond it all turned into a nightmare ordeal during the French leg of their journey. The dynamic duo were to get from Venice to Pau, France, home of the very first Grand Prix race in 1901. but were caught speeding in France last month and as a result got banned for three months from driving in France. Clarkson was driving an Aston Martin Vanquish when he was clocked at 141 km/h (87 mph), while Hammond was aboard a Porsche 911 GT3 and he was doing 143 km/h (88 mph) on a part of the highway where the limit was 90 km/h (55 mph), which was more than 50km/h over the legal speed. Stopped a tollbooth, the pair received an on-the-spot fine and had their licenses confiscated from the Gendarmes. They were lucky that their vehicles were not impounded - which can be part of the fine. The official motorway speed limit in France is 130 km/h (81mph) in dry conditions that drops to 110 km/h (70 mph) when it’s raining, and radar detectors including SatNav and GPS systems to locate speed cameras are illegal in France, even when they are not in use. Without their licenses it was up to the Top Gear camera crew to drive the two stars and the cars back home. Writing in his column inThe Sun newspaper, Clarkson said of the incident, “You may not believe this but for the last 25 years I have had a clean driving license. … I was bound to slip up one day.